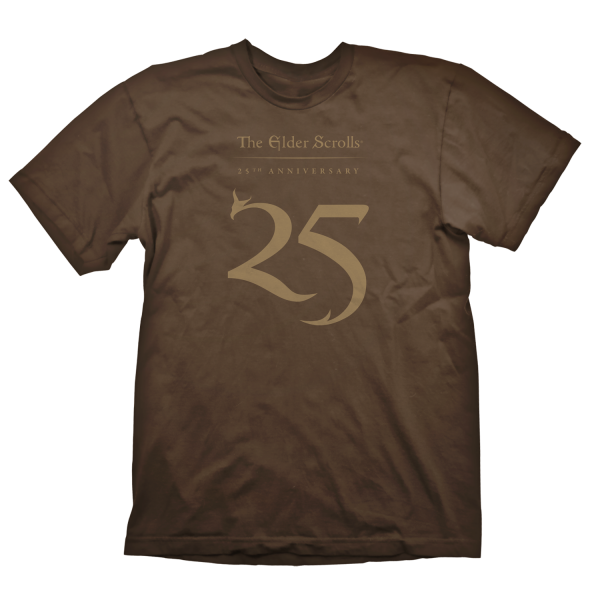 Honor the anniversary of "The Elder Scrolls" with this special "Earth" variant of the "25th Anniversary" logo which can be found as a gold colored print on the front. High quality silk screen print, 100% pre-shrunk cotton for a long lasting fit, even after being washed several times. Manufactured by Gaya Entertainment.